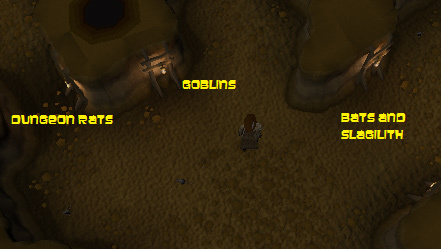 The Goblin Dungeon is a Dungeon that is only used for a few occasions. It is home to twenty-three Goblins of varying levels and is part of the One Small Favour Quest. 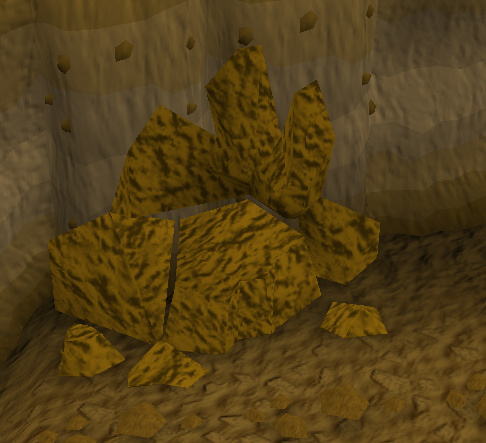 The entrance to the dungeon is just East of the entrance to the Fishing Guild. This is one of the few dungeons that does not have a ladder or door as an entrance, but is inside a cave. When you get inside there are three paths that you can take. The westerly one is home to Dungeon Rats. The northwestern one is home to an army of Goblins. 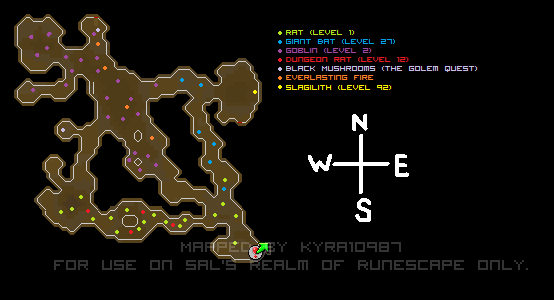 The one heading north is home to some Giant Bats and Slagilith from the One Small Favour Quest. Don't worry if you take the wrong turning though as they all meet up at the north end of the dungeon. 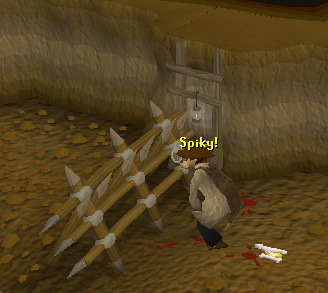 If you decide to go up the path towards the Goblins then the first thing you see will be a large spiked fence going all the way across the path. Don't feel scared as you can't impale the spiked into yourself. 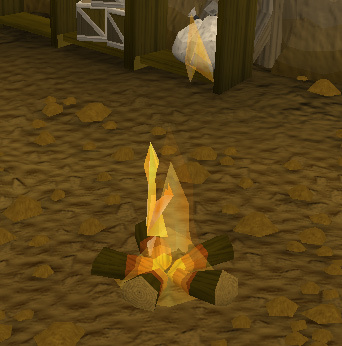 In the North part of the dungeon is a fire that lasts forever. This can be useful if you are killing the Dungeon Rats as you can cook the meat that they drop on the fire. In the North-West corner of the dungeon is the room used during the Dwarf Cannon Quest to find the Dwarf Child who is hiding inside one of the crates. 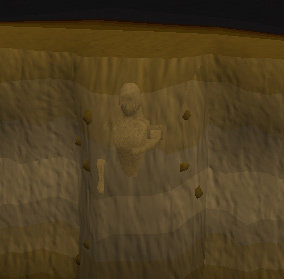 In the northeast corner of the dungeon is a sculpture embedded in the rock. This is the main reason people come into the dungeon. 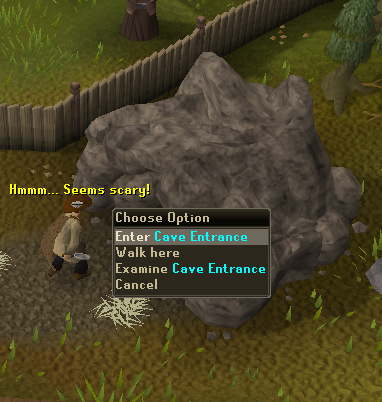 It is where the fight in the One Small Favour Quest takes place when you cast the spell on it. If you do ever want to leave this dungeon then the exit isn't very clear. To leave you must go back to where you entered and chose to "Climb-over Mud pile". This cave is packed with monsters. If there were any more monsters then you would find them being pushed back out of the Cave entrance. There are seven different types of monster that keep residence in the dungeon. One of the easiest monsters to defeat in the game. They are located throughout the dungeon. 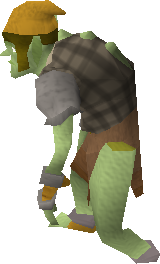 This is just a plain, ordinary Goblin, no weapon, no hat, just Goblin Mail. There are eight of these inside the dungeon and two around the entrance outside. 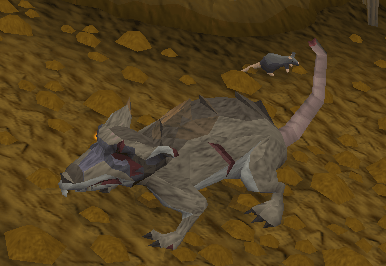 These rats are all in the path heading west from the entrance. There are five of these in the dungeon. 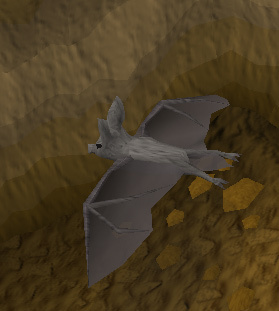 As in most dungeons, there are Giant Bats flying around. There are six of them in the path heading north from the entrance. Slagilith is not normally out from hiding, but when he is he comes in full force. 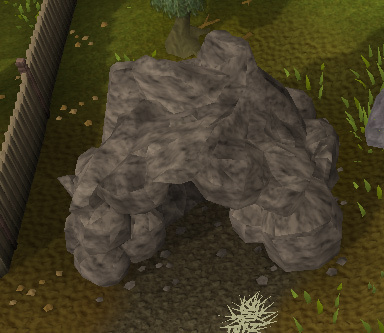 He is a Golem who will only appears when you cast the Animate Rock Spell during the One Small Favour quest.